To the south of St Remy and signposted from Avenue Van Gogh down Avenue Antoine de la Salle is the barrage lac Peirou also known as the Glanum Dam. Manmade on the site of a dam originally for Roman Glanum, it’s a leafy spot easily reached on foot and perfect for picnics. 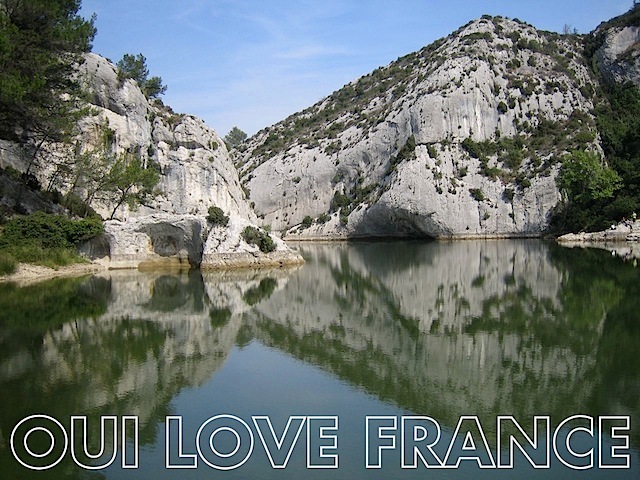 Should you be more ambitious in your rambling or cycling expeditions, why not take a climb into Les Alpilles, the small mountain chain that cuts across the landscape horizontally between St Remy and Les Baux. Do you know this spot? Have you walked in the Alpilles?